Even though cryptocurrencies have been around only for a decade, they’ve become an essential part of many people’s lives. Many bitcoin investors became rich when this crypto’s price skyrocketed back in 2017. Its price has dropped since, but cryptocurrency trading still is an excellent source of income. In fact, for thousands of people across the world, crypto-trading is the principal means of livelihood.  Because cryptocurrency trading is, without any doubt, a profitable business, the number of crypto traders is increasing all the time. But, the more people get involved, a tough competition will it become. In order to stay on top of the game, crypto traders need some help. And the help they need might come from crypto-trading bots such as WolfPackBOT. Cryptocurrency trading seems like a great way to earn money, but the same as any other business, this one too requires a lot of work. And before the emergence of crypto-trading bots, this was a pretty hard job. The traders needed to manage a number of different portfolios on a number of different interfaces, something that not many found easy. But, not only was it difficult, but manual cryptocurrency trading was also very dangerous from the financial point of view. Keeping track of multiple accounts means that your concentration might drop and that could be enough for making a big error. And big mistakes in the world of cryptocurrencies indicate a significant financial loss. Even if you managed to keep your focus at all times, you would still have troubles finding the right deals. In order to quickly buy and sell cryptos, you need to be super-fast with your computer mouse, as well as to have a fast-running computer and a reliable internet connection. All of these problems have made crypto traders crave for software that could help them. They wanted something that could do all the hard work for them. And that’s precisely how the idea of WolfPackBOT was conceived. 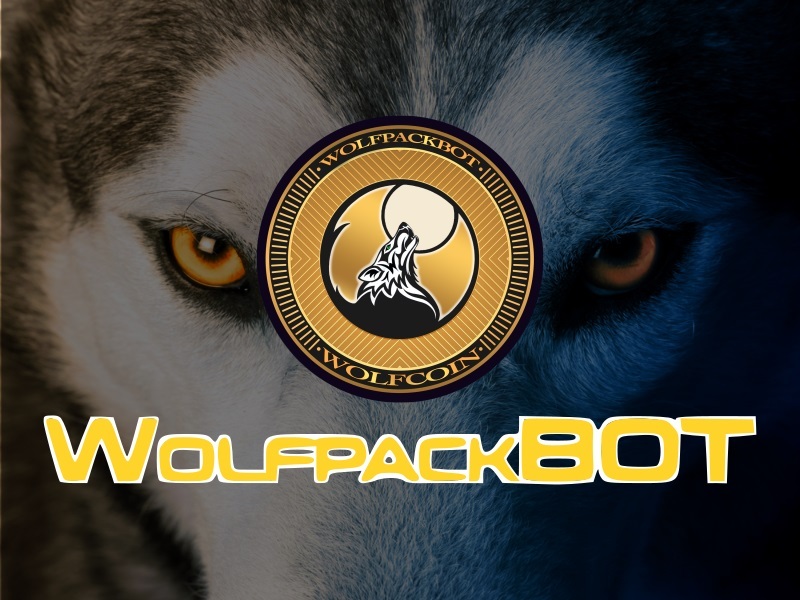 WolfPackBOT might not be the first-ever crypto-trading bot to see the light of the day, but it’s definitely one of the best ones you can find in 2019. There are many reasons for that, the most obvious one being the fact that WolfPackBOT was designed to help you handle a large volume of crypto trades on your own. Instead of hiring an entire team of crypto traders to assist you, you can do everything by yourself using nothing else but WolfPackBOT! Basically, WolfPackBOT is an automated software the purpose of which is to execute cryptocurrency trades according to the instructions of the trader. Using WolfPackBOT means that your only job is to set the crypto trading assignment and the program will take care of the rest. Automation is a major advantage of crypto-trading bots because it saves your time and energy. However, the real reason why every serious crypto trader needs to own such a program is that it will enable them to execute trades on multiple exchanges at the same time. 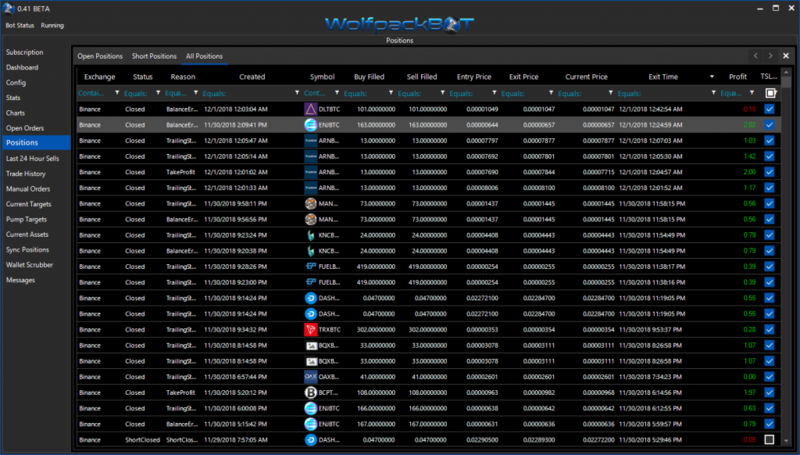 Without WolfPackBOT, you would need to have a team of traders each logged in to an exchange (e.g., Bittrex, Binance, BitMex, etc.) to be able to execute several trades simultaneously. With the help of WolfPackBOT, you can do that all by yourself. WolfPackBOT is a professional crypto-trading tool which was designed with newbies in mind. Crypto-trading is a relatively new business, which is why the chance is that many still don’t have too much experience with trading cryptos. And that’s why the developers of WolfPackBOT decided to make it as easy to use as possible. With that said, WolfPackBOT has a very user-friendly interface, which is super-easy to navigate through. 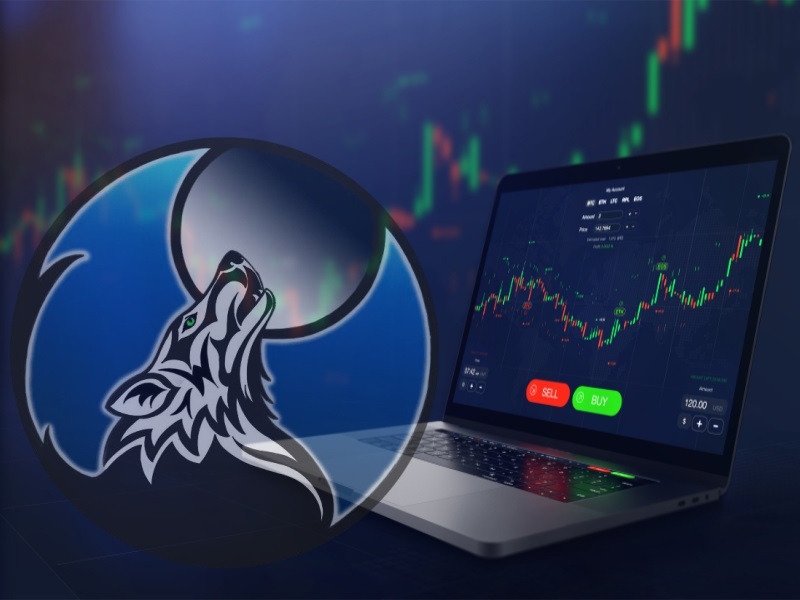 Among the many features that make WolfPackBOT popular among crypto-traders (e.g., coin selector, multi-platform trading, and so on) is the crash protection feature. This isn’t something that many other bots have but is extremely important. Why is it important? Because it makes the risk of losing money almost zero. How it works is that it keeps an eye on the conditions of the market, coin stability, probability of bearish divergence, and many other factors. Crypto-trading might seem like a game of change to the untrained eye, but the fact is that there’s serious science behind it. And in order to succeed in this business, you need to rely on brains, not luck. But, instead of wasting time trying to do calculations on your own, why not let WolfPackBOT handle it? This software offers crypto market analysis based on all kinds of methods including EMA, Fibonacci sequence, Eliot Wave, Bollinger bands, and others. 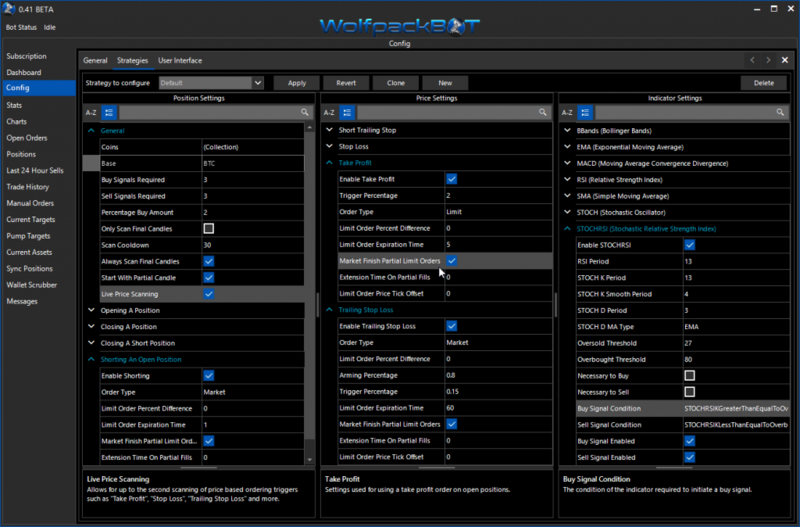 You can use WolfPackBOT on your computer, but to get the most out of it, you need to utilize the WolfBox console. According to WolfPackBOT whitepaper, the console is a piece of hardware specially designed for crypto-trading. It comes with pre-installed WolfPackBOT application, which means that you just need to set it up and you’re ready to start trading! You can choose from several differently-priced WolfPackBOT subscriptions. You can also decide whether to buy WolfBox console or use the software on a dedicated computer. And if you decide to buy some of the stuff, you will be able to purchase WolfPackBOT’s crypto coin, Wolf token (Coin Ticker: WOLF). Apart from using it for buying WolfPackBOT goods, you will also be able to trade the token on regular exchanges. Cryptocurrency trading is not an easy job, particularly for those with big ambitions. If you want to become successful, you could surely use some help. And WolfPackBOT is definitely the tool that could save you a lot of time and energy. To learn more, visit their official website or download there whitepaper. Previous articleWhat is a Bitcoin Mixer, and How Does it Work in 2019? This sure is a lot of hard work. Implementing a trading bot into a business model is something new to me and I think an advantage. This will be an assurance that the software will be maintained. Just my opinion. Will be watching this one for sure since I do trading sometimes. This sure will make my life easier. Been following them for quite awhile now. This is a promising crypto trading bot. Can’t wait for their Beta release. if you’re a cryto trader and making a living with cryptocurrency trading then this is definitely an advantage and a great help. but for a normal trader (sideline) then i wouldn’t want to pay that kind of amount for monthly subscription. just my small thought. subscription packages should have been mentioned here but anyway you can just visit their website. Still a bit confused how this bot really works but really excited too for their beta. This is one of the best ICO project out there. It has use case and great team. Many are excited with their bot and I’m pretty sure it’ll be a powerful tool for traders. Thumbs up!!! You guys should try WolfpackBot’s PaperBot where you can test their software for trading before the release of their Beta. It’s awesome! but it sure really is a very nice trading bot.. feel excited with the beta release too..